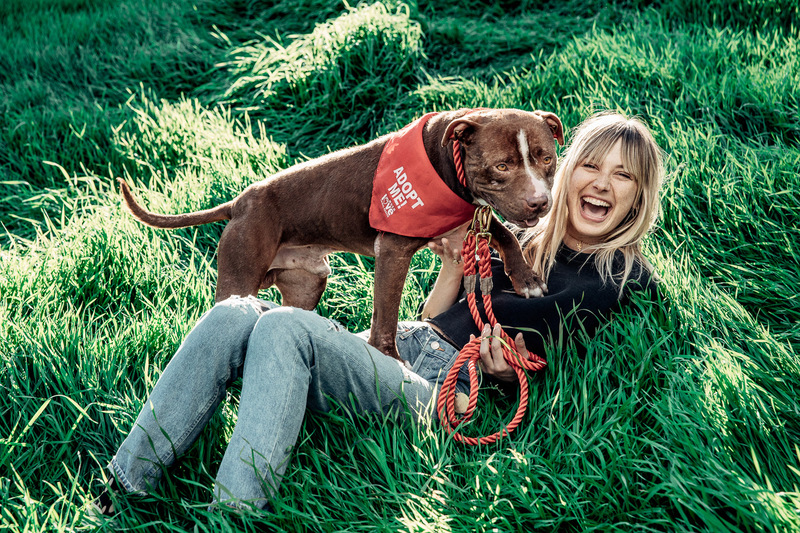 Live FAST has teamed up with Los Angeles-based stylist and activist LWANY to create Denim & Dogs, a series dedicated to helping pups find their forever home. 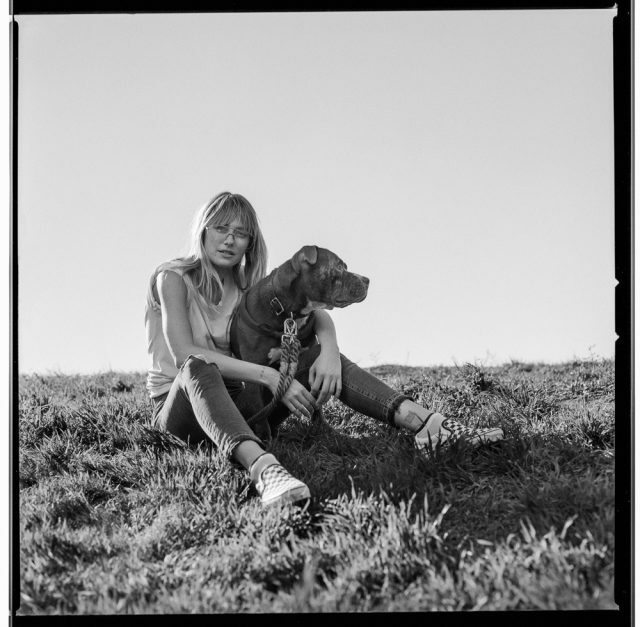 The debut editorial, a collaboration between ACTVSM, denim label AGOLDE, Much Love Animal Rescue, and Live FAST, features Bailey, a sweet pit bull mix. 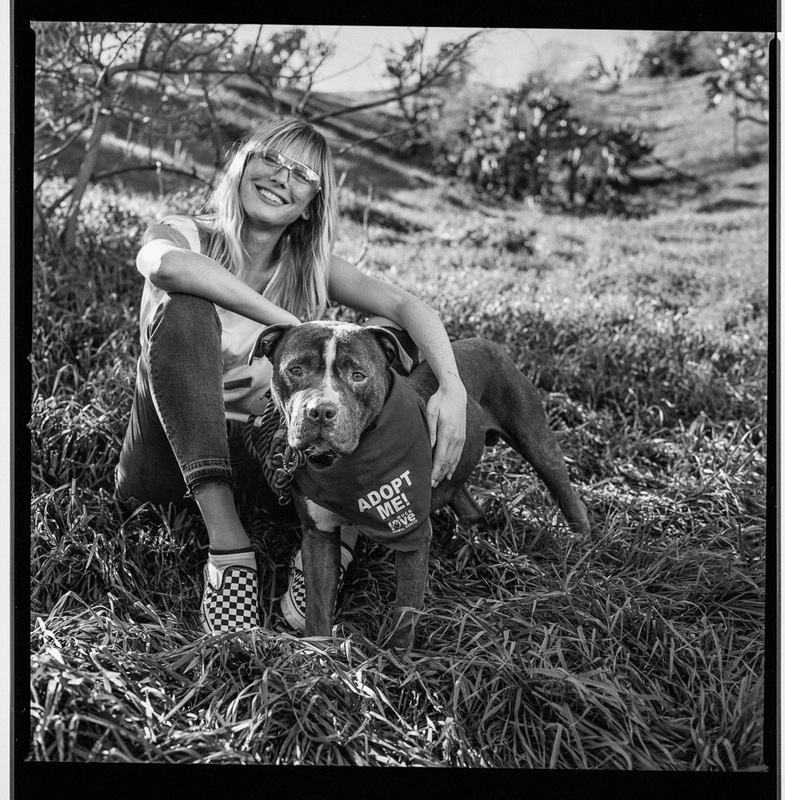 Photographed by Aaron Smith, the story shows Bailey’s incredible personality as he romps about a lush green hillside with Ashley Louise. Bailey has the sweetest face and loves love. From kisses and cuddles to long walks on the beach, he’s pretty much the perfect dude. 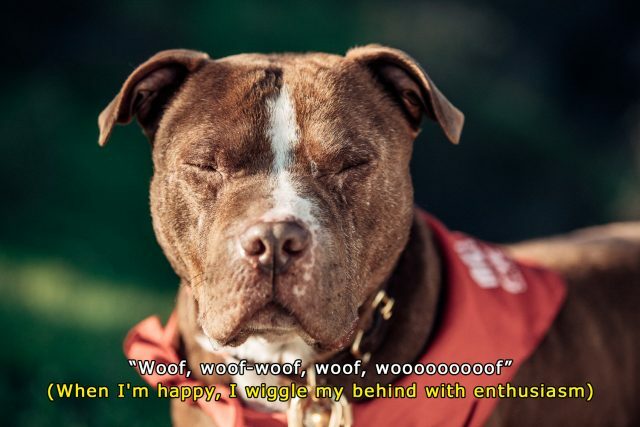 He’ll keep you accountable for your workouts (he’s into hiking), will snuggle up when you’re having a bad day (did we mention that cuddles are his favorite? ), and he’s mastered the art of unconditional love (just take a look at those big brown eyes). Plus, he has an amazing sense of depth, so trust that he’s ride or die. He’s seen some dark times – he was found on the side of the road with a bad case of mange – but that’s only fueled his optimism. 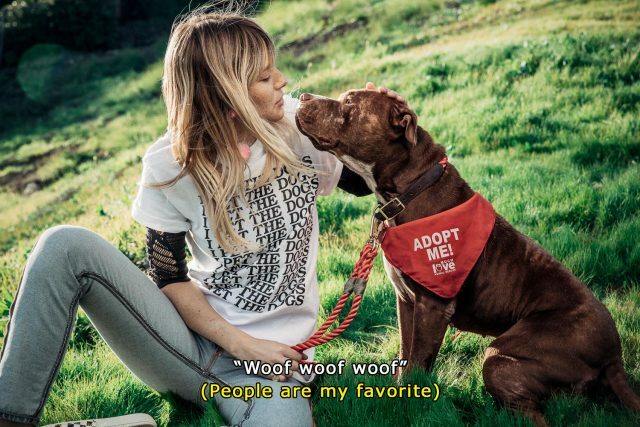 He’s loving life as a foster pup with humans who adore him and he can’t wait to find his forever home. Could it be you? 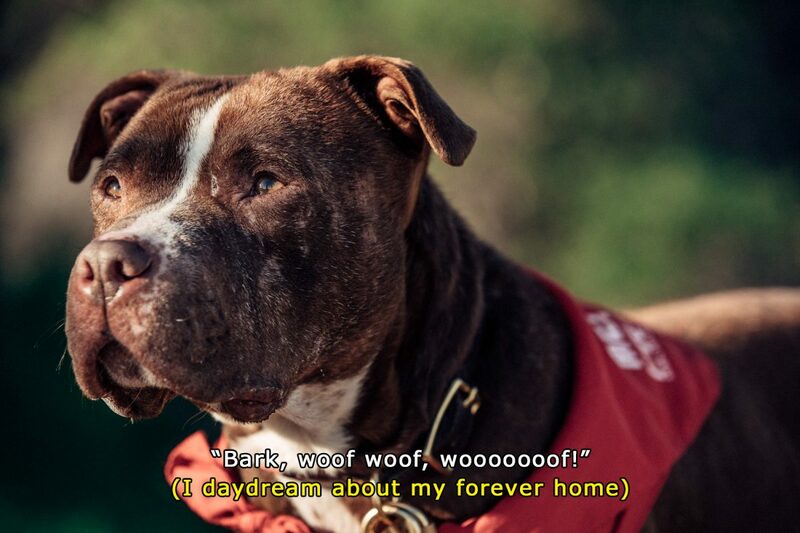 Read more about Bailey here and visit here to adopt him! It was my mother’s heart of gold that taught me the importance of rescuing animals. As a holistic veterinarian, she naturally turned each of our homes into a safe haven for neglected creatures. She would always tell me, “Rescue your pets. Always give the one who won’t get adopted a home. Kittens and puppies are cute, but the adult animals are so grateful for your love.” It was these lessons that influence the way I navigate the world today and often resulted in us having up to eight pets at a time. My mother’s words extend beyond adopting animals – although, I only rescue and have been known to deliver long lectures when someone tells me they’re buying from a breeder. Her boundless love for animals taught me to have a boundless love for all things living, to do good and trust that good will be done unto me. Adopt, don’t shop, and consider opening up your home to Bailey.